When purchasing the Ultimate recently, there were plenty of option boxes begging to be ticked. We gave in to a number of them, including hot water and some extra lighting, but had to stop somewhere. 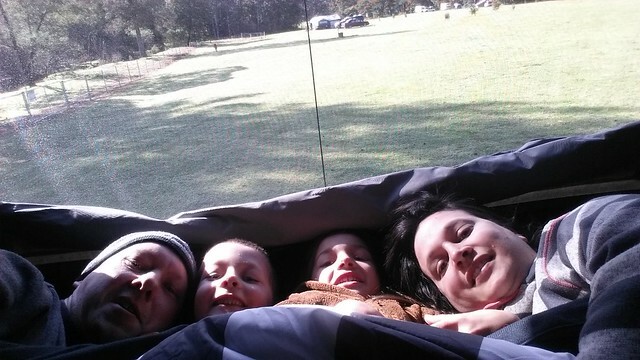 One of the options we left off the list was the gas space heater, so when the forecast for the Barringtons in the holidays included snow, we decided to look elsewhere for a destination where we’d miss the heater less! 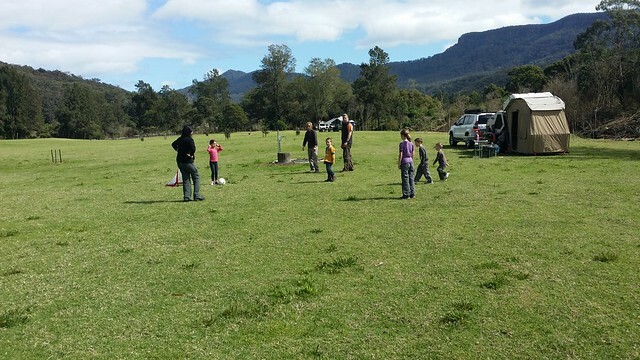 A scan of wikicamps – our favourite camp site planning app, and the decision was made to head to Bendeela, just out of the Kangaroo Valley. The weather forecast didn’t look great, but we hoped to get some protection from the wind and rain down lower in the valley. Bendeela is a free camp site maintained by the local council that came to fame for all the wrong reasons only a couple of days before we got there. It seems as though some idiots decided it would be a good idea to run over some of the local wombats that live there. We arrived just after lunch on Tuesday in between intermittent showers to be greeted by security at the gate. Formalities done we found ourselves a nice grassy camp site, not too far away from another family who had some soccer goals set up – which Lucas approved of. 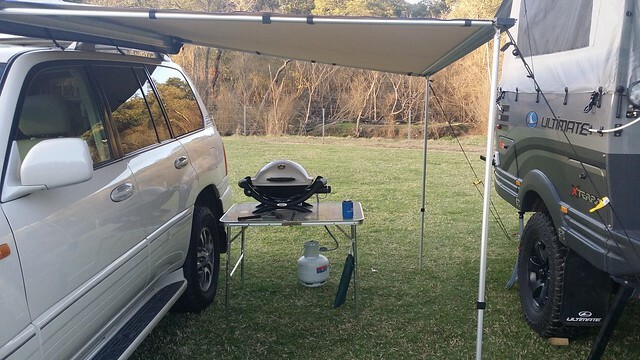 We set up the BBQ under the car awning which was quick and easy to do. Wednesday we headed into Kangaroo Valley as it was quite a nice day and ended up having lunch at the Friendly Inn, where we used to stop on MR2 club drives many years ago. Not much had changed, and the food was still great. One of the goals for this trip was also to be a little bit of a shakedown trip for the Ultimate. 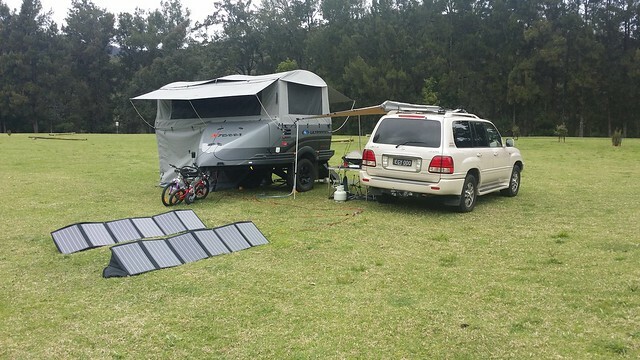 In particular, for our new solar panels, and also for the Webber BBQ for our outdoor cooking. The two Projecta 120 watt folding panels did a great job keeping the battery topped up, even in overcast conditions. The temperature was pretty cool so the fridge wasn’t working that hard, but I’m now pretty confident we’ll be able to last pretty much indefinitely. The BBQ also was great. Really easy to set up and pack away into its place in the nose cone, and cooks a great steak! The weather turned a bit nasty the next day, and we spent a fair bit of time inside as well as playing a bit of soccer in between showers. Despite the weather, we had a great time here. 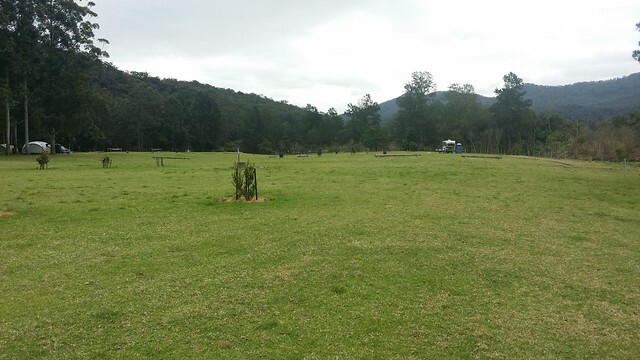 Bendeela is a beautiful little spot, and there are still plenty of wombats who roam the grounds at night. Sometimes you can feel them rubbing against the trailer late at night.